This tour will take you on an adventure that you will never forget, through the mountains to see Petra in all of her glory. 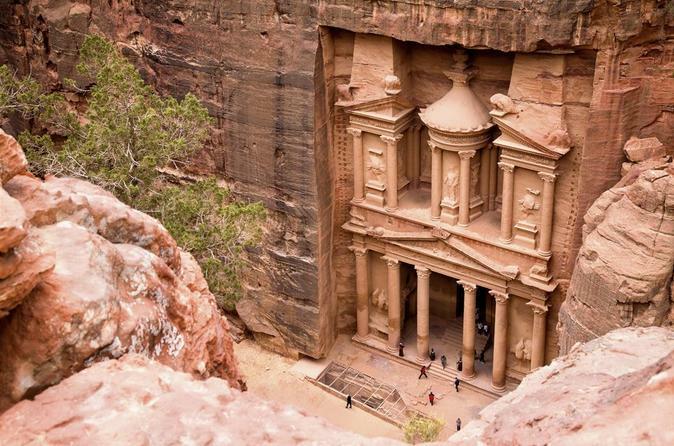 Petra, one of the seven wonders of the world, was left by the Nadateans that lived in Jordan more than 2000 years ago. See the Treasury, which is the completion of the Siq. There is a Roman theater with three thousand seats, built in the 1st century B.C. There are crypts, baths, mourning halls, temples, and much more. You don't want to miss this full-day tour. 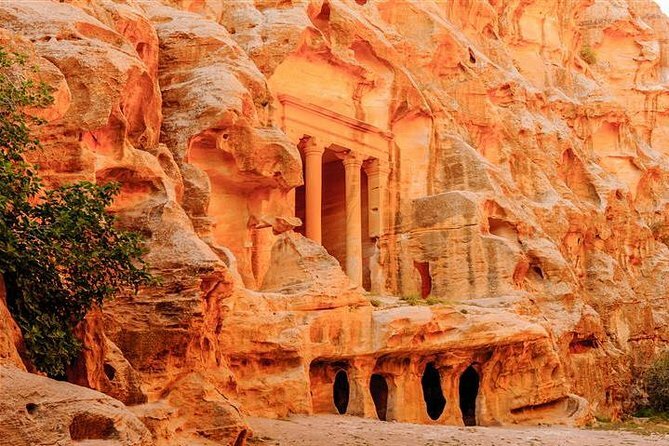 Over 2000 years ago, inheritance, left to us by Nabateans, now called Petra – was very prosperous. More, then 20,000 residents occupied it. One of the greatest water systems of their times, that was created by The Nabateans, was built to gather water from flush floods. Water was sold to caravans and merchants, passing through. Inspired by Roman architectural manner, Nabateans created great facades, temples and statues (numbering about 800). Now Petra is one of "The New Seven Wonders of The World". The highlights are : “The Treasury” and “Roman Theatre” (amphitheater with over 4000 seats). Jerash is a city, that is famous for its ruins. The ruins were discovered by archaeologists in 1806, and are over 5000 years old. The city was at one time buried by wars, earthquakes, and the weather. There are two theaters, both North and South, a hippodrome, and an oval forum. Of course, there are many more to see. Tour Cairo for 2 days from Eilat. Tour the city, the pyramids, the sphinx, the Egyptian Museum, the Old City of Cairo, Sakkara and the Pyramids. Tour the Egyptian Museum with a professional licensed guide. Private and hotel upgrade options available depending on option selected. Tour the breathtaking Petra from Tel Aviv with flights and hotel for two days. 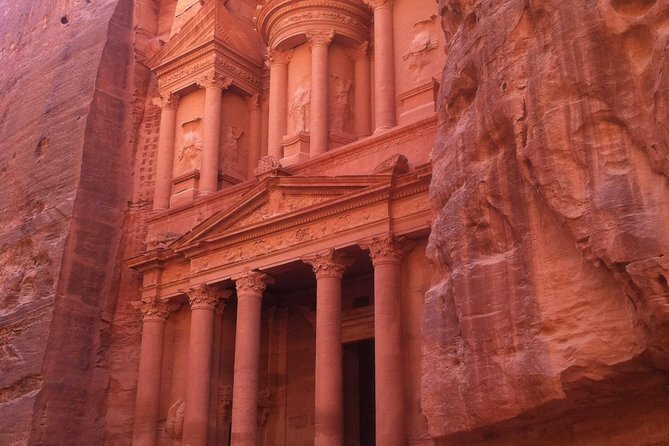 See one of the famous 7 wonders of the world Petra, the treasury, the tombs, and the amphitheater. Enjoy some free time in Petra to visit it again. in Start out A licensed tour guide will show you the way, explain in detail what you are seeing, and answer any questions you might have. This is a great adventure, bring the kids for a vacation that they will never forget. Sit back and relax on this 1-day tour to Cairo with a professional tour guide. 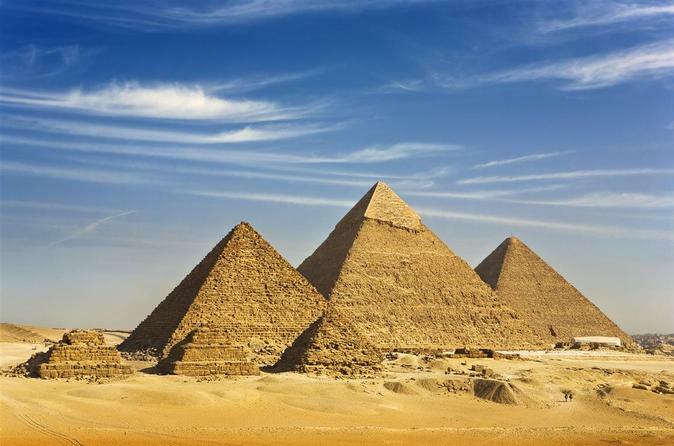 See sights that will amaze you such as the pyramids, the sphinx, and the Egyptian Museum. This 22-hour tour includes transportation and will drive you through the desert, mountains, and cities. The whole family can enjoy this trip and its better than any classroom education. 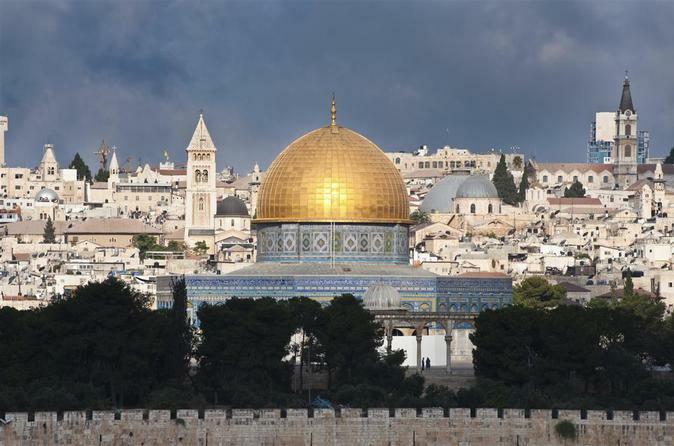 Take a 5 day tour of Israel with a private guide. See the most significant of the Jewish sites. Tour in style, with 5 star hotels, your own personal driver, and transfers from the airport included. Enjoy the personalized attention. Travel at your own pace. Start the tour in the morning at your leisure. A great tour for the whole family, couples, or just friends traveling together. This tour can start on any day you like. 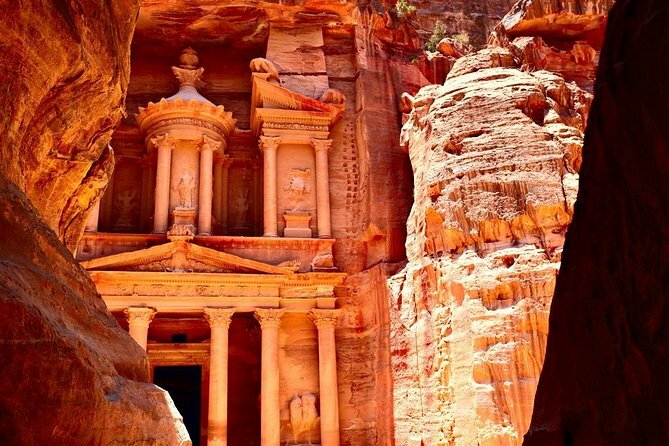 An overnight tour to Petra & Wadi Rum will provide you with an unforgettable experience to explore what are arguably Jordan’s two most iconic sights. Leaving Eilat, you’ll cross into Jordan, traveling north along the desert highway, to Petra. 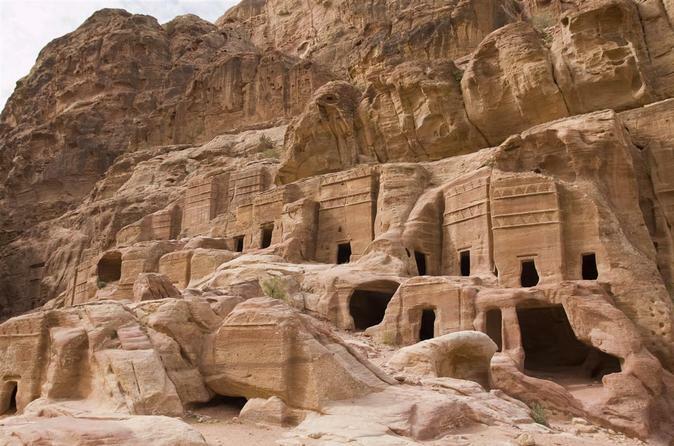 Petra was a lost city for thousands of years. It is now one of the Seven Wonders of the World. You will enjoy a guided tour of Petra and see the sites main highlights including the Siq, the Treasury, the Obelisk Tomb, as more. After experiencing Petra, you most likely have worked up an appetite. Next, you’ll feast on an authentic Jordanian lunch at a local restaurant. After lunch, you will make your way to Wadi Rum for overnight in Bedouin camp (hotel in aqaba Available upon request).The following morning, you’ll head out to the desert and explore Wadi Rum with a jeep tour, before heading back to Aqaba for a tour of the city’s markets. The tour will end with a transfer back into Israel. Take a one day trip to Ein Gedi and Masada from Eilat with a professional guide. 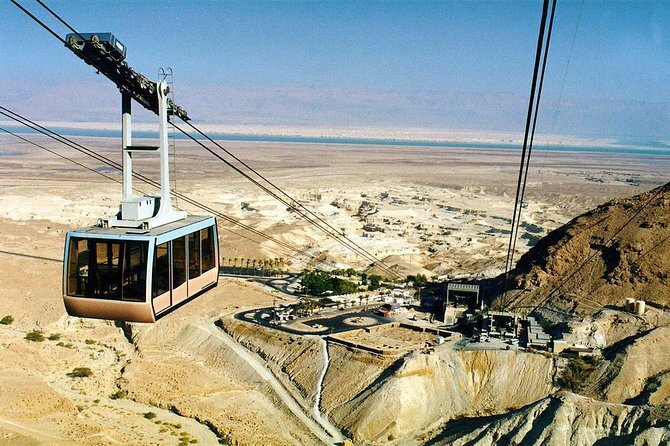 Alight a cable car to the top of Masada to see beautiful views of the mountains. Tour the bathhouse that is wonderfuly preserved, see the Roman baracks, water cisterns, synagogue, and much more. Travel to Ein Gedi and visit the wonderful spa. Soak in the soothing hot water of the mineral pools. Enjoy a relaxing few hours to pamper yourself. This is a great trip for couples or groups. 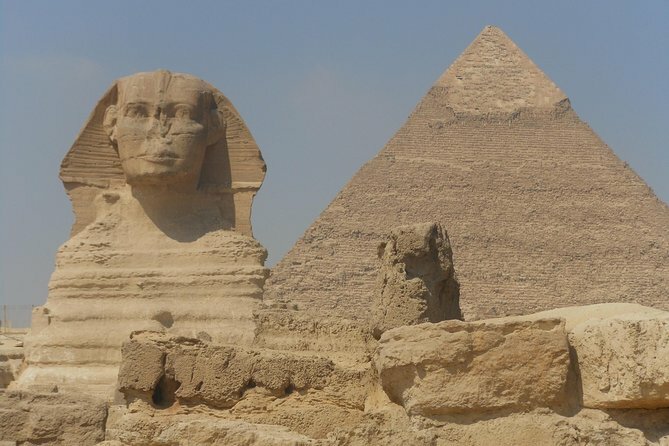 Have a great tour to The Pyramids of Giza, famous Sphinx, Egyptian Museum, St. Mary, Coptic area of Cairo, the Hanging Church, Sakkara necropolis and Memphis. 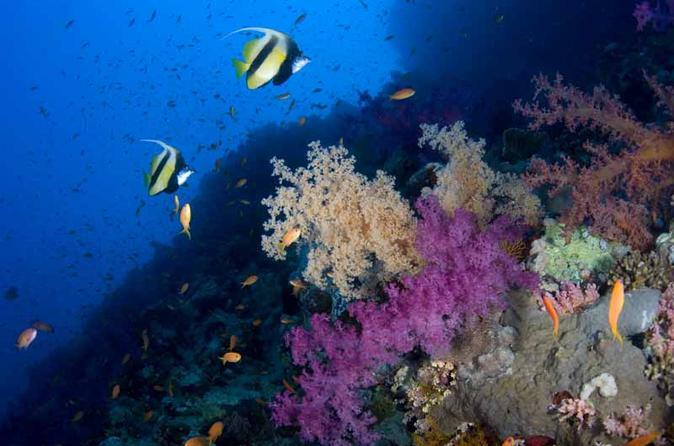 Take a tour on a glass bottom boat on the Red Sea in Eilat, to see the underwater life. See the amazing marine life in this colorful world. This is a 2 hour excursion on a well equipped boat for your pleasure. No need to get wet, view it all while having a drink or a snack, sitting back and relaxing. Spend 2 nights in Eilat with a day trip to Petra. 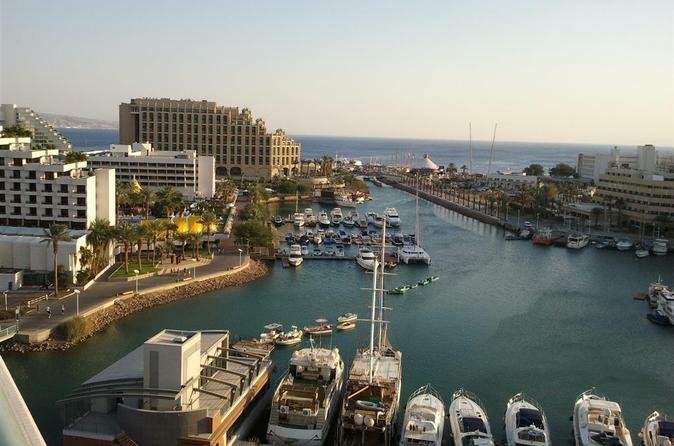 Enjoy sitting on the beach, diving, or shopping in Eilat. 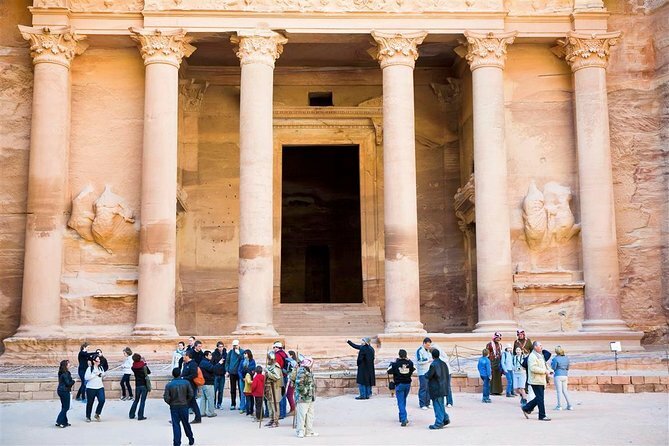 Tour Petra with a licensed guide to see one of the famous 7 Wonders of the World. Walk through Petra, enjoy the atmosphere, the views, and the ancient structures. 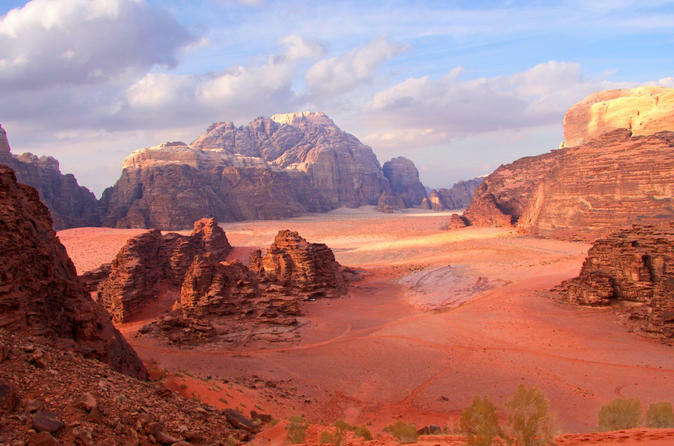 Experience Aqaba, Wadi Rum and Petra in this overnight tour from Eilat. View the ancient artefacts and way of life. Take a day tour from Eilat to Jerusalem. Tour the holiest city of the 3 major religions in the world. See the Western Wall, the Church of the Holy Sepulchre, and swim in the Dead Sea on the way. A great tour for the whole family. You will be picked-up from your Eilat Hotel and taken through the border crossing between Israel and Jordan. 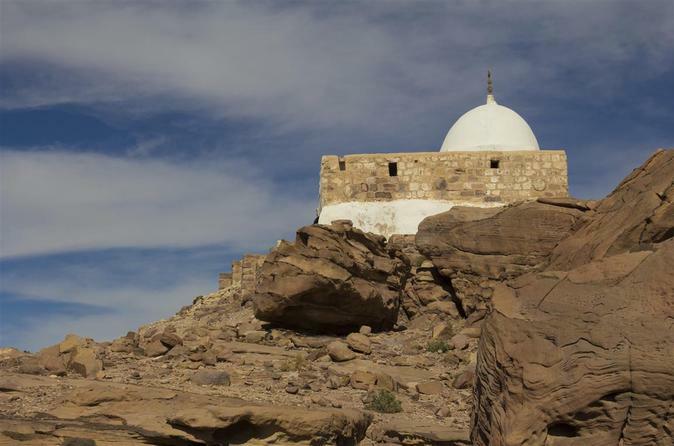 We follow the Desert Highway along the scenic route to the UNESCO city of Petra. We enter through the narrow Siq and visit the many magnificent Petra structures hewed from the red mountain cliffs. On our return journey to Eilat, time permitting, we take a brief tour of Aqaba. This is a fantastic tour to three countries in five days; Israel, Jordan, and Egypt. If you are short for time and want to see it all, then this is the tour for you. This package includes internal flights. 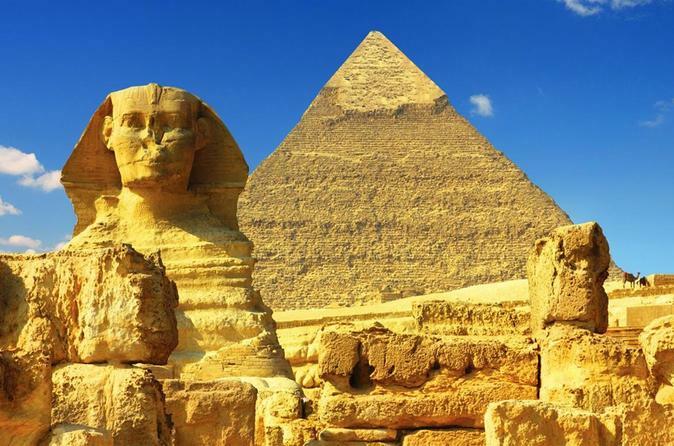 Tour Egypt, see the pyramids, the sphinx, the Egyptian Museum. Tour Jordan and visit Petra, one of the seven wonders of the world. Then Israel to tour Bethlehem and Jerusalem. This is a great tour that the whole family can enjoy. 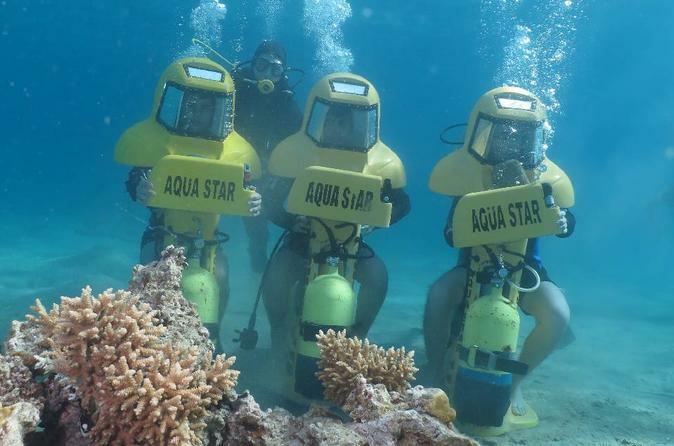 Take an amazing hour out of your day to go on the Aqua Star at the Aqua Star diving center in Eilat. No diving equipment needed. 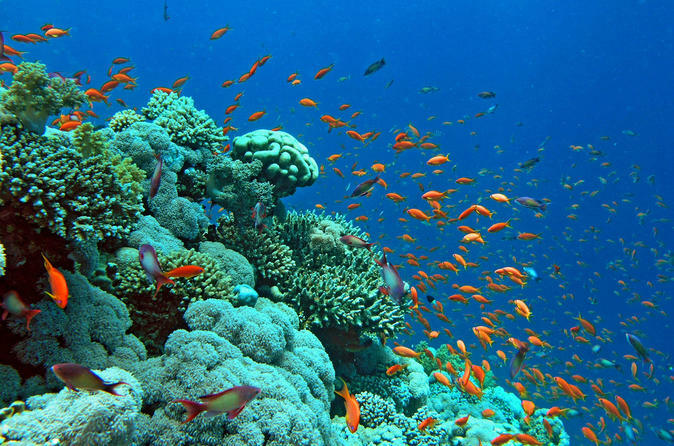 See the colorful fish, the beautiful coral. suitable for all ages for those who want to discover and explore the rich Red Sea marine life and have no previous diving experience.